This is a schedule of many archaeology and history events in the Peterborough area. Only some are organised by FRAG. Click a specific event for more details. 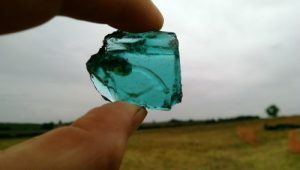 What started as the excavation of a Roman Barn at Nassington is extending into a broader project about agriculture, industry and daily life in the Nene valley 2000 years ago. Our speaker will be Derek Roberts who is the Director of Excavations for the MidNAG dig. A number of FRAG members participated. This will be the first opportunity to provide feedback on what we have learnt this year. As well as the Roman barn which was exposed in 2016 and 2017 we now have more information from geophys, aerial photography and the 10 exploratory trenches excavated in August. The project is starting to provide insights into the lives of those living in the Nene valley from late Iron Age through to end of the Roman period. For non FRAG events (and for FRAG trips & excavations) please double check with the event organiser for latest status , cost and any booking instructions. Be part of Peterborough Archaeology. Get your hands on the past. New Roman Street Map Available!